Required: a sofa or armchair that’s big on impact, but not size. In that case, you need Lottie. The compact design that steals the show, not the floor space. Perfect for living spaces, or even home offices. It’s Influenced by mid-century design, but with a curved, contemporary frame. 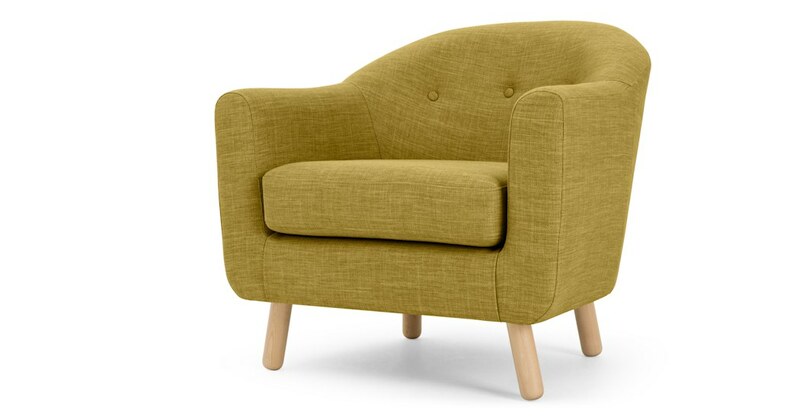 It’s fitted with a plush single seat cushion, and detailed with a buttoned backrest and angled solid wood feet. You’d be forgiven for thinking it cost a pretty penny. But look at that price. We know, right? When a well-crafted design like this comes in at those numbers, you’ve got to get it.